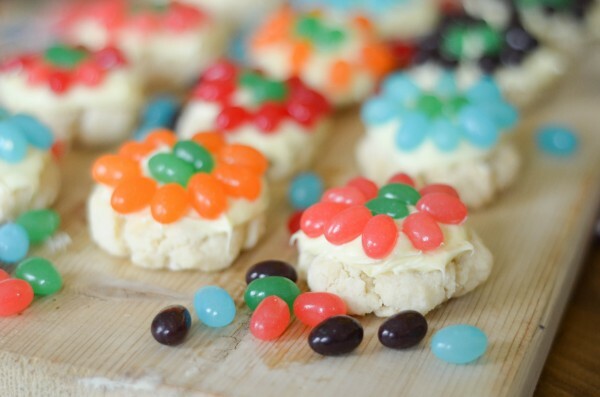 Make spring fun with the family and create these Jelly Bean Flower Cookies, plus these edible flower recipes. Lately, I’ve really been enjoying having my kids in the kitchen with me and setting aside perfection. It’s tiring after a while, isn’t it? Or is it just me? We decided to start spring off right and make some tasty sugar cookies. 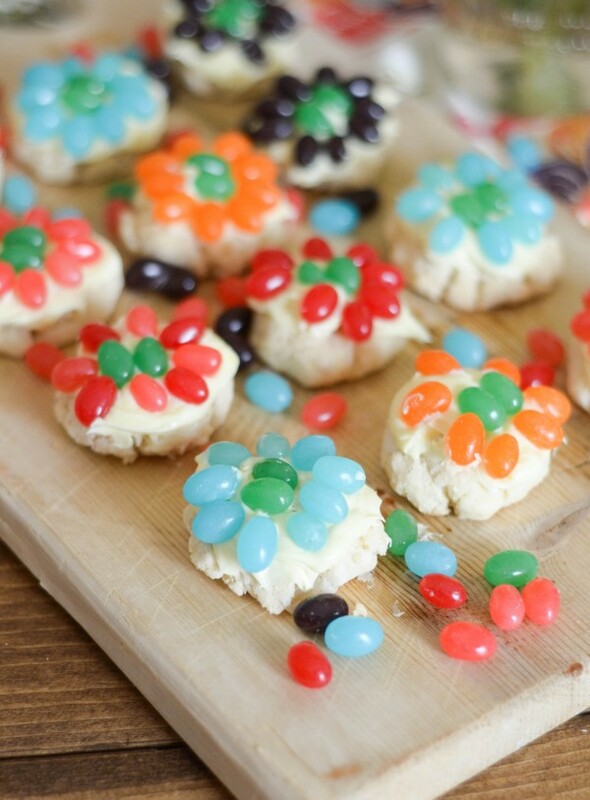 I used my tried and true sugar cookie recipe, but to give them a little extra special touch, we added jelly beans. 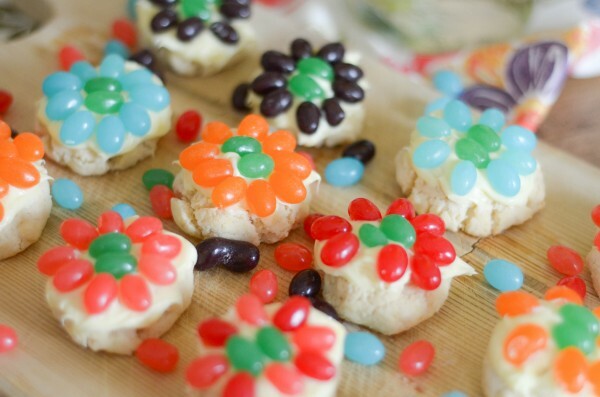 My son and I decided to frost them and then design the jelly beans to look like flowers. 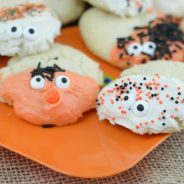 They actually turned out so cute that I had to share them. 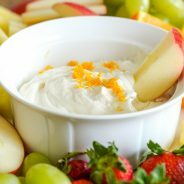 These are perfect to make for family and friends, plus to have the kids help out. I actually love making cookies and then packaging it and delivering them to friends and family. We always do that around Christmas time, but what about spring? It got me thinking that we should do that randomly throughout the year too because we could all use a little pick me up from time to time, right? 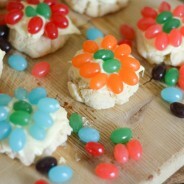 I used the Jolly Rancher Jelly Beans for these but you can really use any type that you have on hand. I tried to stick to spring colors and use the green for the centers. Then, I just went around with the jelly beans to create a flower. 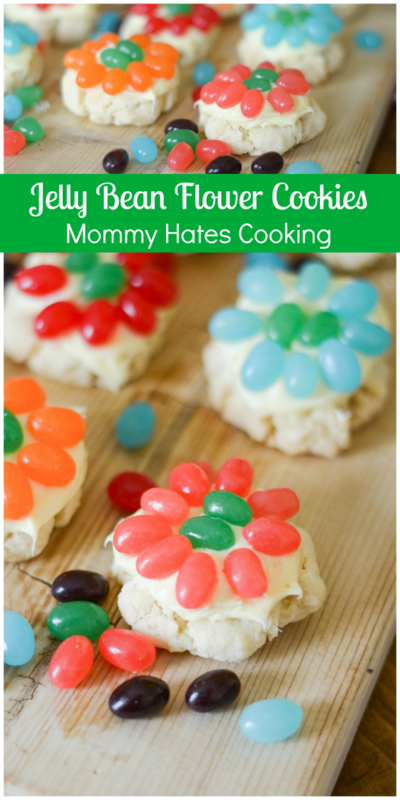 The flower shape can also be done with a cookie cutter too using this sugar cookie recipe. The first batch of these that I made were gone within a day! I ended up having to make even more, I will say my daughter probably ate half of them. She kept coming out of the kitchen with two more in her hand. I finally got smart and moved them. That girl and her sweets! 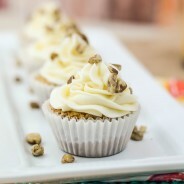 Are you ready for these? 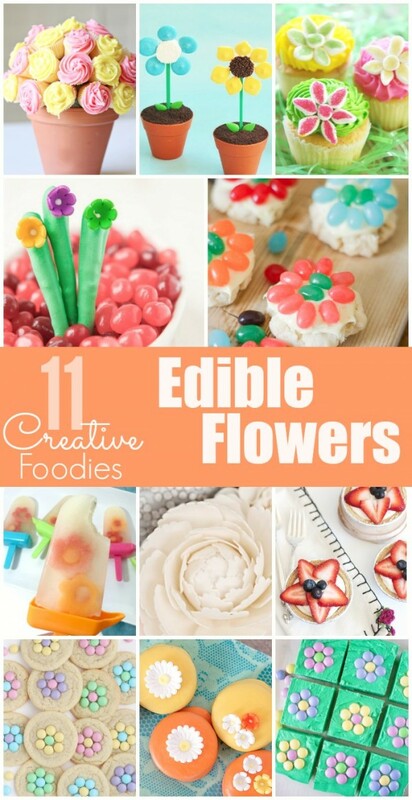 It’s time to eat up, plus check out these 10 recipes from creative food bloggers that include edible flower designs. 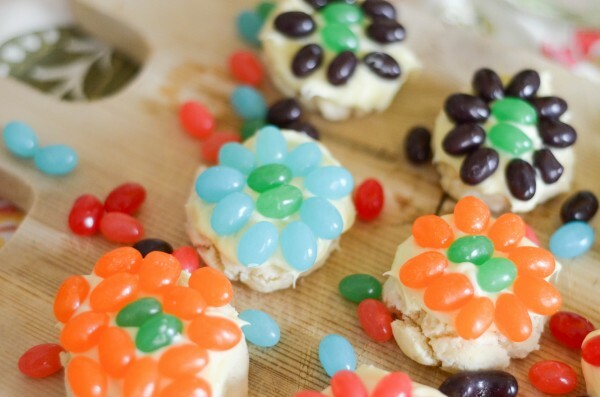 To decorate, spread the frosting then top in a flower design with the jelly beans.